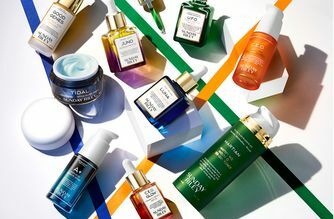 Powered by science and balanced by botanicals, Sunday Riley’s supercharged formulations provide a visible, measurable improvement to your complexion. Sunday’s latest sought-after launch comes in the form of this A+ High-Dose Retinoid Serum. Powered by 6.5% blend of stabilised retinoid and retinoid-like botanical extracts, this formulation grants all the youth-boosting, blemish-busting, radiance-enhancing benefits of traditional retinoids and retinols without the prescription or downtime. One of the most bio-available non-prescription forms of vitamin A products on the market, A+ High-Dose Retinoid Serum is a pro-strength formula for those who want serious results without the unwanted side effects of traditional retinol formulations (reduced appearance of side effects like flaking, redness, and irritation compared to high-strength retinol and retinoid products is visible after one use). Combining 5% retinoid ester blend, 1% liposomal-encapsulated retinol blend, and 0.5% blue-green algae with natural, retinoid-alternative activity, this serum fights the signs of aging and improves the look of congested and UV damaged skin. Still on the fence? In addition to reducing signs of ageing like fine lines and wrinkles, A+ features encapsulated CoQ10 to help improve the appearance of ageing or damaged skin, while Hawaiian white honey, bisabolol, cactus extract and ginger balance and soothe the skin for the appearance of a calmer, more even-toned complexion. Apply 1-2 pumps to clean, dry skin as a night-time pro-treatment. This product is absolutely amazing. I initially got it as a sample and just had to purchase the full size. This is a high strength retinoid without the irritation, peeling and flakiness. I saw improvement in my skin texture and pigmentation soon after using it. The serum is light weight and sunk into my oily, acne prone skin immediately. 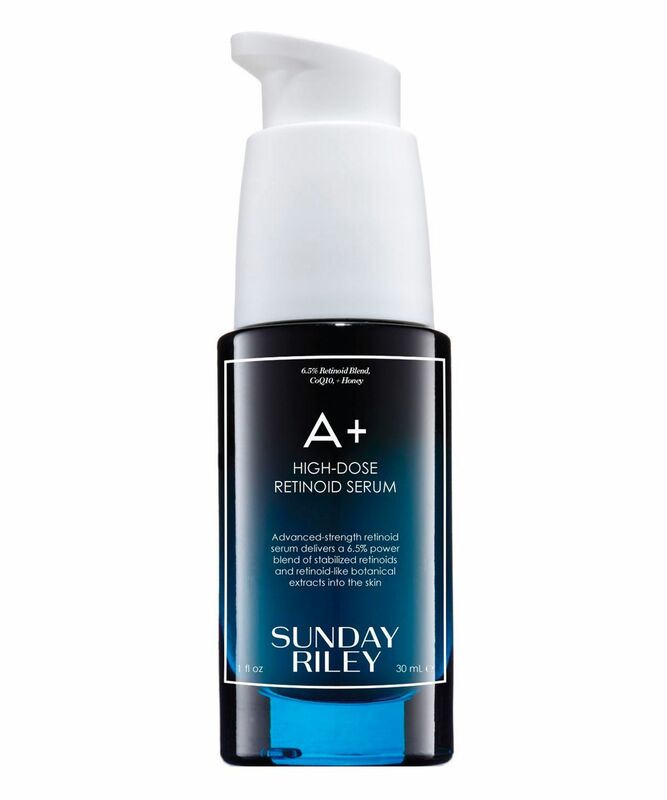 I have used many Sunday Riley products and this is by far the best. If you are in the market for a serum, look no further! You will wake up with an even, glowing face. It was a pleasant surprise to find a deluxe sample of the CEO Glow and the Good Genes in the box, nice touch! High strength and very comfortable on the skin. I followed the instructions, eased myself into this gradually and didn’t suffer any irritation. Made my skin lovely and radiant . I use this at night along with Sunday Riley Luna oil over the top and it's amazeballs. Will never stop buying Sunday Riley products they are just brilliant.